August 24, 2016 by Ken Ward Jr.
OK. Now one glaring problem with this whole line of thinking is that, while telling readers that these prosecutions are little more than a “mediagenic booby prize” that we mere news reporters fall for every time, Attorney Madar seems to be getting his information about the glaring holes in regulatory systems that aren’t explained to the public from — that’s right, the mainstream media. For example, that link in the section I just quoted, about the West Virginia University research center that helped uncover Volkswagen’s cheat and is not facing budget cuts? That goes to a New York Times story that revealed this very information. The author’s beef about lax food inspections and inadequate funding for the Securities and Exchange Commission? That’s from another Times story. That section of the op-ed also links to a CNN online piece which explains in some detail the weaknesses in existing food safety laws, regulations and enforcement. And not for nothing, but the section that contrasts the Blankenship prosecution (and presumably the media attention it got) to changes in West Virginia’s mine safety laws … well, that links to a Daily Kos aggregation that, while fairly convoluted, collects some variety of local media accounts of a bill that received quite a lot of coverage from, among others, the Gazette-Mail (see here, and here for example). It would be more helpful if Madar offered some specific examples of where he believes the media over-hyped a criminal prosecution in a white-collar case, while ignoring the underlying lax regulatory system that allowed such crimes to occur in the first place. As best I can tell, the op-ed cites just three instances of white-collar prosecutions — Blankenship, Flint, and Peanut Corporation of America. Also not for nothing, but the Flint criminal charges really present quite a different sort of situation — prosecuting public officials for concealing important health information — than trying to send corporate executives to jail. The truth is that proper enforcement of regulatory systems and use of existing criminal statutes are equally rare in our society. And does anyone really believe that media coverage of the Flint criminal charges has overshadowed media coverage of our broken system of providing and protecting public drinking water to citizens of Flint and many other communities around the country? I would be the last person to disagree with the argument that we need more and better journalism about these kinds of issues. But saying we need more and better coverage is quite a different thing that trying to make the argument that we don’t have those things because “media attention [is] disproportionately expended by the lust for criminal punishment,” as Madar writes. Oddly enough, Madar’s links refer to previous coverage of the January 2014 Freedom Industries chemical spill, but his op-ed doesn’t mention one of the real underlying problems with using criminal prosecutions in these cases — the view of some judges (and apparently some assistant prosecutors) that crimes that contaminate drinking water are “hardly” crimes and the corporate officials who commit them are hardly criminals. 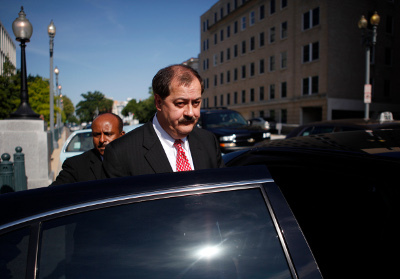 There’s no mention of the very short sentences available in cases like Don Blankenship’s, or of the movement among many safety advocates to toughen such laws. Moreover, Madar doesn’t even make an attempt to argue a key point he would need to make to support his conclusions: that putting a CEO in jail for safety crimes doesn’t deter other CEOs from committing the same crimes. Certainly in the Blankenship case, it appears that the coal executive lobby is concerned about their exposure under the legal theories that put Blankenship in jail. These kinds of disasters don’t have a silver bullet solution. To borrow a line from the U.S. Mine Safety and Health Administration, protecting workers and the public requires using all of the tools in the box. I am for using all the tools available. However, in our legal system where “gag orders” and “sealed records”are the norm (especially in criminal prosecutions). The simultaneous competing civil and criminal investigations have shown to obstruct the process of finding the root causes of these tragedies. On safety investigations, it has been said you need to choose between personal blame or acquiring knowledge of its causes. 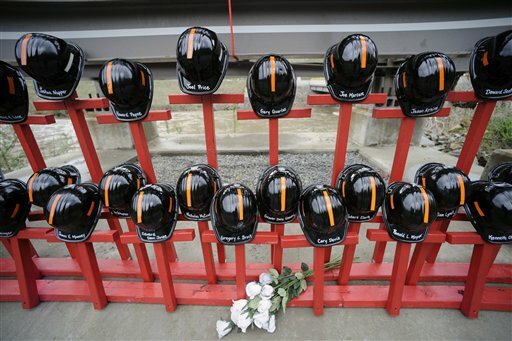 We need to consider when allocating prevention resources the abysmal record of unsuccessful criminal investigations of OSHA and MSHA paired with the inadequate and insulting criminal sentences currently available– where one year of jail on a misdemeanor is all the criminal punishing for 29 miners deaths. Safety investigations to find real root causes are the most powerful tool for prevention, if we have the political will to pass and enforce meaningful regulations. Sometimes we need to choose between blaming or learning. Of course , callous disregard for safety –like knowingly violating safety laws is a lethal crime that needs to be punished. But if the punishment is a misdemeanor and and one year jail for 29 workers killed the corporate world will be more than willing to take that minor risk. That’s to Rafael (the former chair of the U.S. Chemical Safety Board) for his comment. I would note that an MSHA civil investigation, a state civil investigation, and an independent investigation by the McAteer team all went on at the same time as the criminal probe of UBB — and I’ve not heard anyone suggest that the criminal probe got in the way of those investigations. And, the question of whether one year is an adequate penalty for a conspiracy to violate mine safety and health standards is a different question from whether — as the op-ed I commented on implied — criminal investigations should be abandoned. I would also be willing to bet that Mr. Blankenship would be glad to have anyone who thinks a year in jail is a piece of cake serve part of his year for him. Credibility of op-ed pieces like this is strained when a fundamental fact is misstated. Upper Big Branch, of course, was not a mine collapse. And appreciating the severity of the mine safety violations there hinges on the knowledge that a monumental – and preventable – explosion resulted.